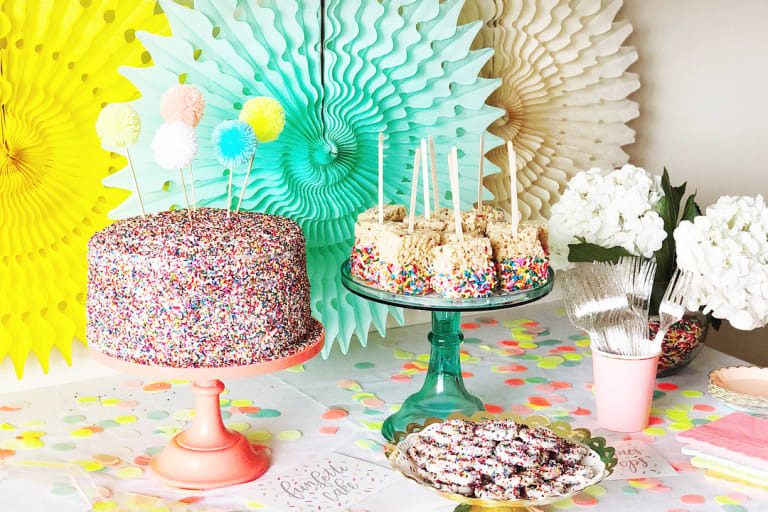 People refer to baby showers as "showering with gifts," and there are a lot of differing opinions on if you should have one after having a second or third or fourth baby. A baby shower traditionally is both a celebration and helping the new parents get most of what they need so if you already have what you need (not to mention a whole list of items you will never use that will just collect dust,) what are other options to celebrate without the need for bringing gifts? Diaper parties are fairly new and fairly common, instead of bringing gifts that you already have or won't use, the guests are urged to only bring a pack or so of diapers. You may end up with too many in one size (you only need a few packs of newborn diapers typically before the baby is in size 1s) but you can exchange and get the bigger sizes and you can end up stocked up to a year old if you get enough as gifts. Diapers are expensive and you can't reuse disposable diapers from previous babies. Baby meet and greets are better than showers in a few ways. The baby gets to be there and they are done after the baby is born, so any needs (if there are people who insist on gifts) are known. Gender reveal parties are another fun alternative. Traditionally, you do not bring a gift if the parents are hosting a shower as well but you can also put on the invite that you're not wanting gifts. Gender reveal parties are typically thrown before showers as a celebration just to announce the gender. It does seem that gender reveals are losing popularity with the younger generation of moms. Sprinkles are also gaining popularity. A sprinkle is a shower for second, third and so on borns. They are celebrations but without the huge gifts. Just bring diapers, wipes and other items that can't or won't be reused after the first baby. Sprinkles are thrown like regular showers, but instead of all the new baby gifts, gifts are not needed. However, diapers, wipes and other necessities that are never reusable are appreciated. Open houses are our last fun alternative option. These are like the meet and greet. They are done after the baby is born and done like an open house event that lets people come and go around their own schedule. Gifts are not needed and it's a way to let friends and family see the baby in a safe environment at their own pace.